Heavy duty steel cage & glass for damage protection. Rubber grip for safe handling. Suspension hook for convenience. 5m cable for long reach access. 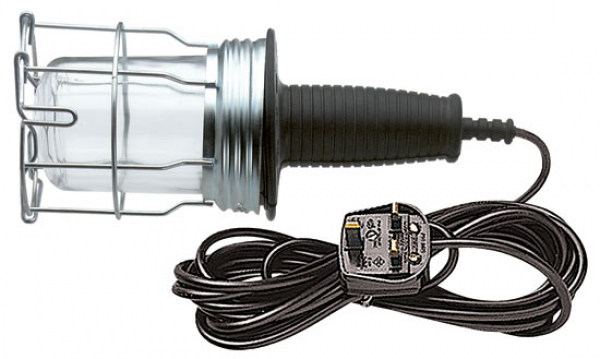 Max 60W 240v screw-in bulb (not included).